The Grote Markt is the central market square of Haarlem. “Grote Markt” literally means big market, and yes, it is a huge market square. It is bordered by buildings, including the town hall, that are several centuries old. When a few early spring sun rays break through the clouds, it will take only a few minutes for hundreds of visitors to fill up the square. We lived a 10-second walk away from this square but it never lost its splendor. If you are lucky you can see the square during sunset. After darkness has fallen upon the square itself, there are a few magical minutes during which the last sun rays of the day fully illuminate the imposing Grote or St.-Bavokerk, as the sun set exactly above the Zijlstraat. A perfect place to get a small lunch and a cup of coffee. 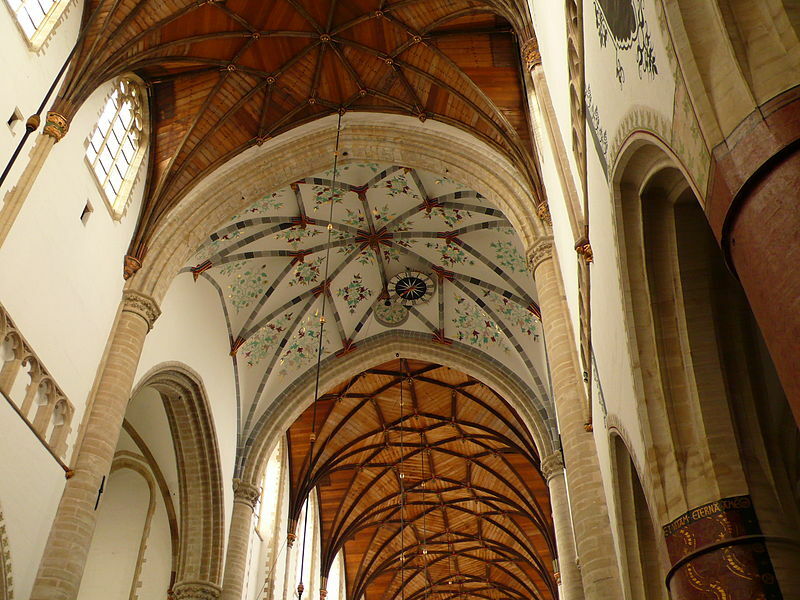 While you’re at the Grote Markt, head over to the Grote Kerk or St.-Bavokerk. It is a towering structure visible from miles away, regardless the direction you are coming from. The church has traces of multiple styles, as several masters have overseen its construction, although it is generally classified as Gothic. Uncharacteristically, the tower and the ceiling are made of wood. Why uncharacteristically? Well, most the churches and cathedrals that are over 500 year old like this one have, at some point, burned down, often as a result of lightning. So often have you read from a sign something like, “This church burned down in xxxx. What you now see was rebuilt in xxxx”, leaving you wandering how it must have looked in its original state. Well, this is the church that didn’t burn down! 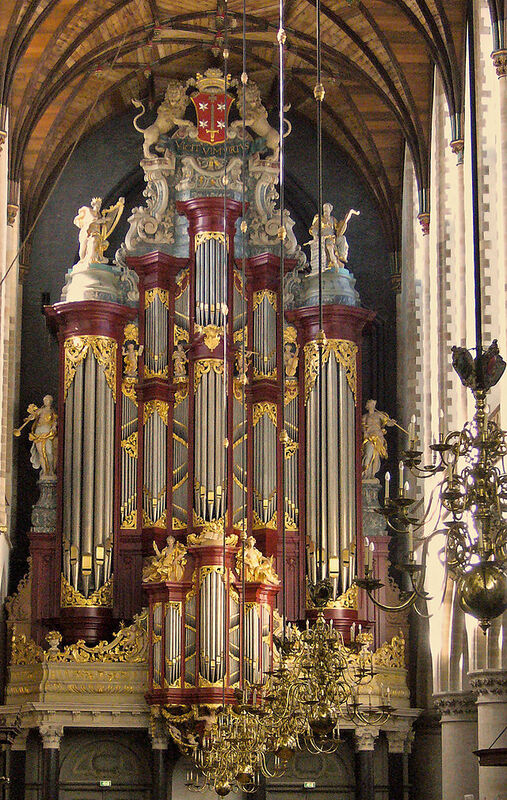 While in the church, do take a look at the almost 300 year-old Christiaan Müller organ. Over a century ago, Mendelssohn, Händel and Mozart where among many to travel to Haarlem, specifically to play this organ. If you research it a bit in advance, you might even catch a free concert and hear its tunes! 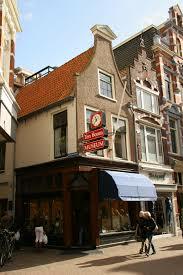 The Corrie ten Boomhuis is, if you will, the Anne Frank House of Haarlem. Every half hour between 10am and 3:30pm a (free) tour of the house starts. You can wait outside at the door. The house was used as a place to hide members of the Resistance and the Jewish community, often as point of transit in an escape plan. A special hidden room was built in which people could hide themselves in case the Gestapo raided the building. As much of the house still breathes an air of the 1950’s, it can be quite the experience to listen to some of the thrilling anecdotes the tour guide has to offer. Those in charge of the house and the tours, though, have a specific religious background. They not necessarily try to give you an objective account of what happened, as they also try to convince you of why and how this is all part of the Big Plan, and how Hitler was ‘just’ a test, a precursor of ‘someone or something worse still to come.’ Despite the heavy religious messages, certainly worth the visit! In Haarlem you can find over 20 so-called hofjes. 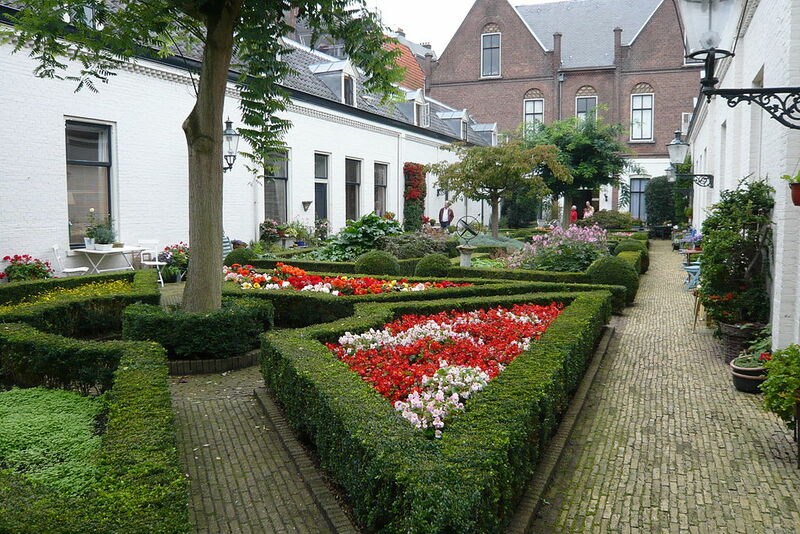 A ‘ hofje’ is formed by an inner courtyard, a community garden, surrounded by small, pretty houses. One or two main gates give entrance from a main road. Hofjes were created mostly by churches, to house some of the poor, or by gildes (guilds, industry organisations), to take care of retirees. Personally, I find them wonderful, old examples of social care not provided by government. They are lovely to see, most particularly during nice weather when they are frequented by lots of cats. Beware, however, as hofjes are quite hidden: you can’t see them from main roads and you can generally only visit them between 9am and 5pm during weekdays. Thus, do plan ahead! … how a huge machine that creates lightning (that still works!) once pissed off Napoleon. Haarlem – a beautiful old city, full of almost ancient tales and artifacts, certainly worth a visit! 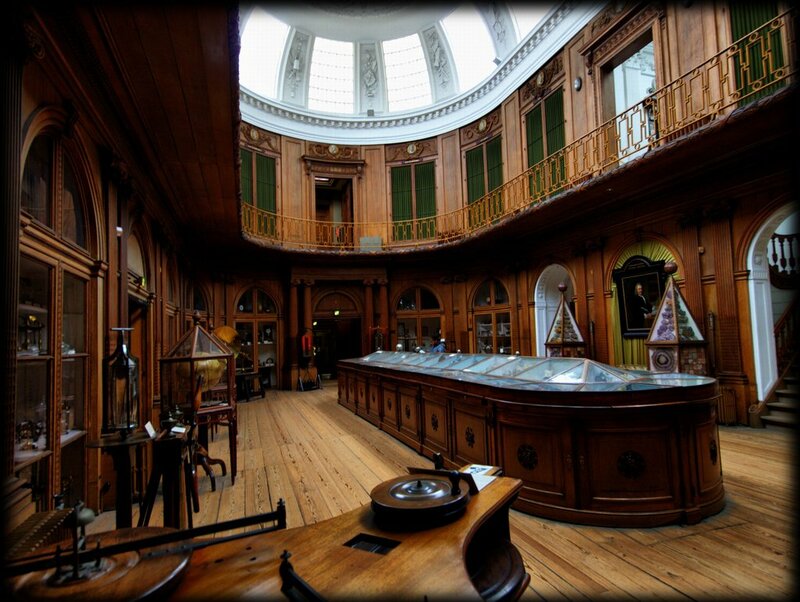 This entry was posted in Travels and Trips and tagged daytrip, Haarlem, museum, Netherlands, travel.